Photo by my hubby, Hash Mills. I took a manicure course about 3 years ago and that's when i realized how much i loved doing it. The techniques, colors, the pearls... The fact that you could do basically anything you want with your nails inspired me. It's a way to show some personality and give that extra touch to your outfit. 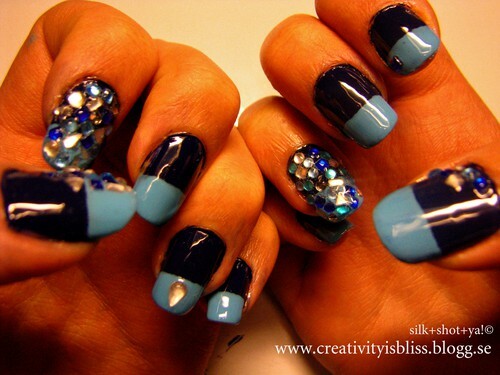 I felt inspired last night and wanted to do something with dark blue and lots of bling.